Shirley Ephraim’s Rare Custom Made 200-carat Aquamarine Silk Lace Necklace will be a part of third annual Green Auction: BID to Save the Earth, hosted by Christie’s at Rockefeller Center on April 11, 2012, two weeks before Earth Day. 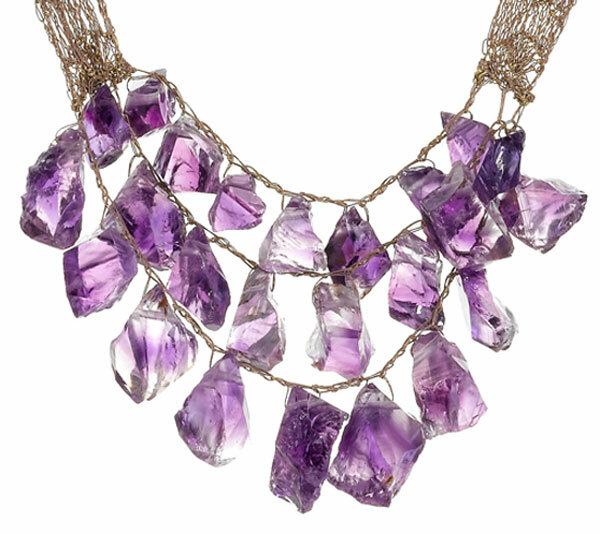 Weights approximately 200.14 carats, this necklace is made of rare, natural, and uncut precious gemstones (Rare Amethyst) uniquely suspended in hand-woven metallic silk lace. Each of the studded gemstones has been handpicked by Shirley Ephraim hersel, so no two gemstones are identical. The rarity and value of natural, uncut gemstones has been attested by the Gemological Appraisal Laboratory of America. The highest bidder will have the opportunity to meet the artist through a private live/virtual consultation in her New York City studio and have a custom 16”-18” multi-stone necklace created in the gemstone of their choice. Shirley Ephraim, the Nigerian born fine jewelry designer has learned skills and techniques of hand-weaving from her Spanish mother and tribal artisans during her childhood. 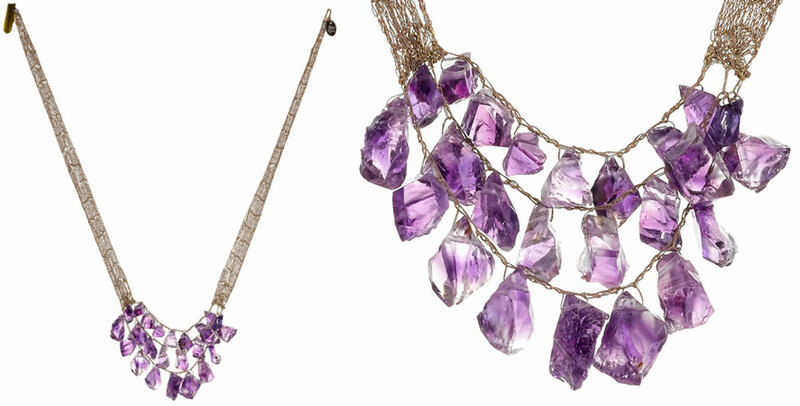 The proceeds for this Custom-Made 200-Carat Rare Amethyst Necklace benefit Christie’s Green Auction: A Bid to Save the Earth! How Much Does It Cost To Drive Porsche For An Hour?